Acrylic, Clear & Fluorescents rods. Decorative and functional uses in designs and fittings. Applications in buildings, shop windows and for many constructional purposes. 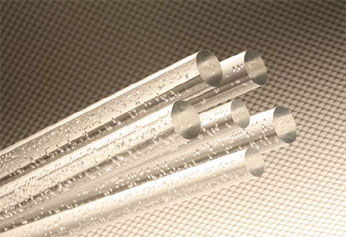 Tubes are used for many purposes including protecting electric wiring under water. Fluorescent rods can be used for lighting effects. The application ideas are endless. Please look at the pictures on the "Technical and Other Data" Tab. REMEMBER:WE CAN CUT TO SIZE, SQUARE OFF & POLISH ENDS IF REQUESTED. Min length 2M but ask. 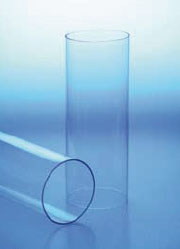 Acrylic Extruded Tube Clear & other basic colours 5 to 300mm outside diameter Min length 2M but ask. Develop and liven up your designs and projects with this great range! Acrylic Shapes & Fluorescents & "Live" Edge! Polishing: This is one of the best materials to give a highly polished finish to the edges. Please note that "Live Edge" must be polished to give the effect. For more information click here. 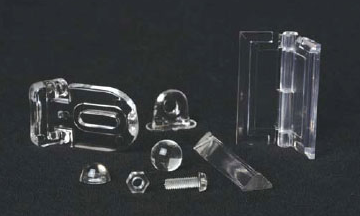 Acrylic Cast Material There are an amazing 15,000 combinations to this family of Cast Acrylic Tubes. 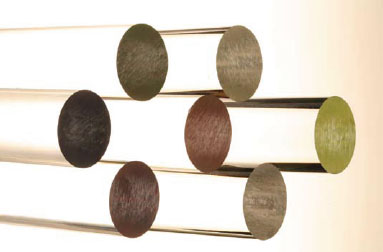 Most sizes are offered in 2m lengths with the 2.5m long series available in a select range of diameters. Special lengths can be made to order with a minimum quantity. Enquire for details. 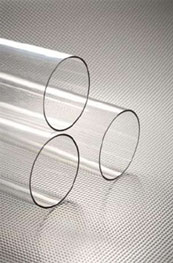 Cast Tubes are produced through the process of centrifugal force in round moulds. Once set they are polished till beautifully clear and colourless. They have a superb light transmission of 92%, which is higher than any other plastic, making it a most ideal medium for many lighting applications where optimum transparency is needed. Properties include good break resistance at 11 times greater than glass, excellent resistance to weathering and food contact approval. Cast tubes are often used for oil, gas and pipeline research, food industry, fabrication, sign, display and precision engineering. High luminance and high light diffusion. Highest flexibility: you can rely on our stock and you don't need to order big quantities. 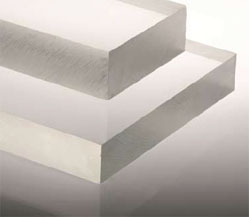 FLUORESCENT Sheets & Clear Rods have astonishing light transmission, excellent machining properties & polishes superbly. It can be readily tapped, drilled & machined with less risk of melting due to its higher tolerance to heat and stress free characteristics. 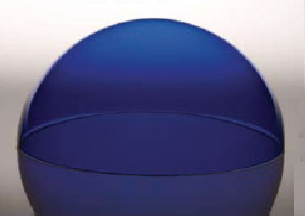 They are offered in translucent, opaque, frost effect and fluorescent colours. These products are specialities & can give you a high added value. CAST ACRYLIC RODS & BLOCKS Acrylic Rod & Block is widely used in the retail sector for stunning displays and the blocks as name plaques, plinths, display cases and shelving, its uses are also wide spread in the furniture industry for table tops, chairs, display cabinets among many other items. If you wish to see what sizes and shapes are available in detail please ask. The colours shown represent the closest match we can show on a website. They are not exact as lighting, reprographic methods and different producers cause considerable variation. If you want an exact match please send us a sample or colour reference number from the Pantone of RAL charts. If you need assistance with this please click here. Please remember that not all colours are available in all thicknesses. Please ask us for current stock avaiability. Stocks cannot be reserved until they are paid for and the order placed on the factory. FLUORESCENT LIVE EDGE ACRYLICS Come in several colours. Please accept there can be large variations between suppliers so these pictures are only indicative. The website images can give only an idea of how fantastic these are when polished along the edges and lit up! We will supply red, blue, green, yellow and orange. 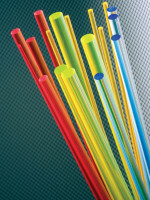 FLUORESCENT RODS Come in several fluorescent colours. Please accept there can be large variations between suppliers so these pictures are only indicative. These will really draw attention in artistic or window dressing sitauions and when lit up are even more attractive!